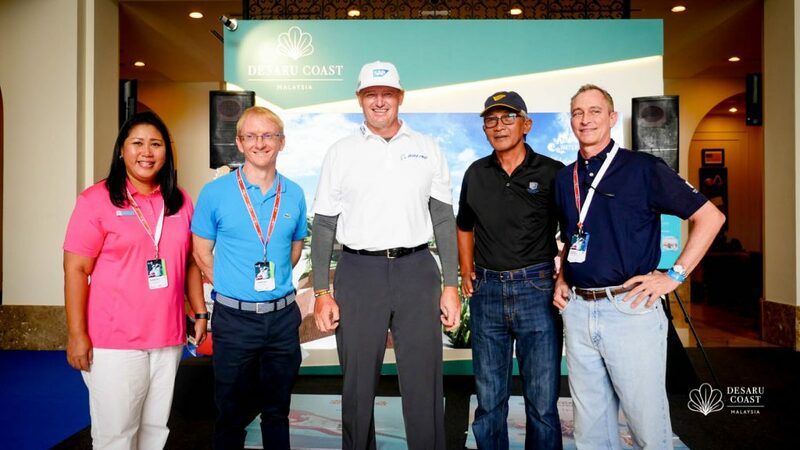 Four-time Major Champion, Ernie Els, took time out of his schedule while on-site during the PGA Tour’s CIMB Classic in Malaysia to meet with Stephen Havrilla, The Els Club Malaysia Group General Manager, and his team to get an update on the progress of his signature designs in the country. They discussed a wide range of topics, from golf course maturation to Ernie’s future visits, helping to establish, in the eyes of the designer, the strategic vision for each of The Els Club Malaysia locations. Els, a member of the World Golf Hall of Fame, said: “I’m extremely proud of The Els Club Malaysia. The courses have turned out really well and the team there are doing a fantastic job. Stephen updated me on how well the courses have progressed since I was last there and the news was very positive. During his visit, Ernie was also updated on the progress of Desaru Coast, home to The Els Club Desaru Coast. The destination gradually opened its components this year, beginning with the Riverside retail village in June, followed by the Desaru Coast Adventure Waterpark in July and the Hard Rock Hotel Desaru Coast in September. This follows the commencement of operations of The Els Club Desaru Coast’s Ocean Course in September 2016 and the Valley Course in March 2017. The updates were shared by Roslina Arbak, Chief Executive Officer – Destination Resorts Southern Region and Phil Whitaker, Chief Commercial Officer & Chief Executive OfficerIntegrated Themed Parks & Attractions of Themed Attraction Resorts & Hotels Sdn Bhd. The Els Club Malaysia, managed by Troon’s International Division, is comprised of two world-class golf locations in separate locations, each utilising its natural surroundings to create a breath-taking setting for golf. In the north, upon the picturesque island of Langkawi, is The Els Club Teluk Datai. Home to the Ernie Els-designed Rainforest Course, Teluk Datai has earned a reputation amongst the world’s very best courses, with a testing design nestled amongst ancient Malaysian Rainforest that will test every standard of golfer. The facility boasts world-class facilities and is accompanied by outstanding accommodation and off-course activities to offer a comprehensive proposition for the golfing tourist. 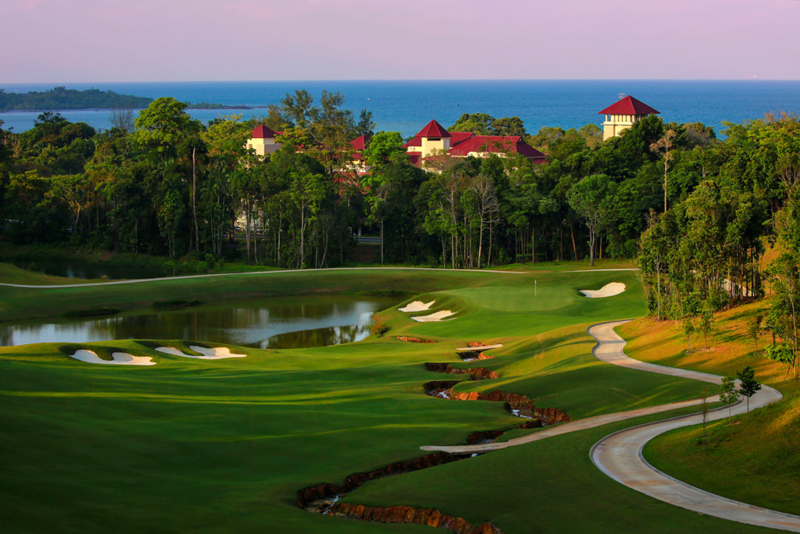 In2014, The Els Club Teluk Datai was voted the ‘World’s Best New Golf Course’ at the inaugural World Golf Awards. In 2016, it became the first golf course in the Ernie Els Design portfolio to feature on Golf Digest’s prestigious top-100 courses list. In the South East, upon the shores of the South China Sea, is The Els Club Desaru Coast, a 45-hole facility with two championship courses designed by Els and his close friend, Vijay Singh. Els’ Ocean Course is an open, expansive design with many of the holes offering a view of the scenic coastline. The course takes inspiration from a traditional links with large rolling greens and testing run-off areas aimed to challenge the short game. The Valley Course, the inspiration of three-time major champion, Singh, offers a different aesthetic, built on a dramatic piece of land, the course owes much of its character and challenges to the sheer undulations and smaller greens. GolfRPM.com is the go-to site where nothing is spared from critical observation to informative content that could be of service and value to many in the golf industry. Written in a common-sense, contemporary style, it covers the gamut of golf as a sport and industry.